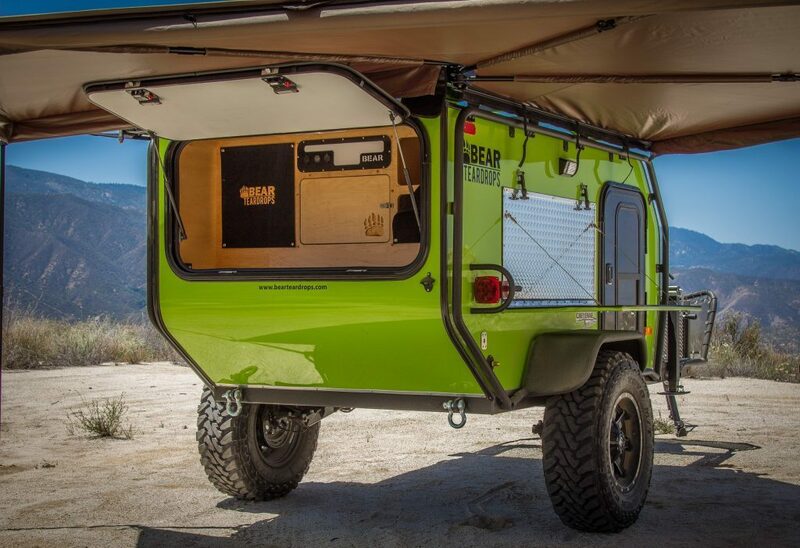 Mark Weseloh launched Bear Teardrop Trailers with a specific mission in mind. He wanted to build a teardrop camper that made it possible for anyone to get out and explore regardless of their skill level. It doesn’t matter if you’re hitting the road for a long stretch or camping for a weekend at your local state park with other vandwellers. 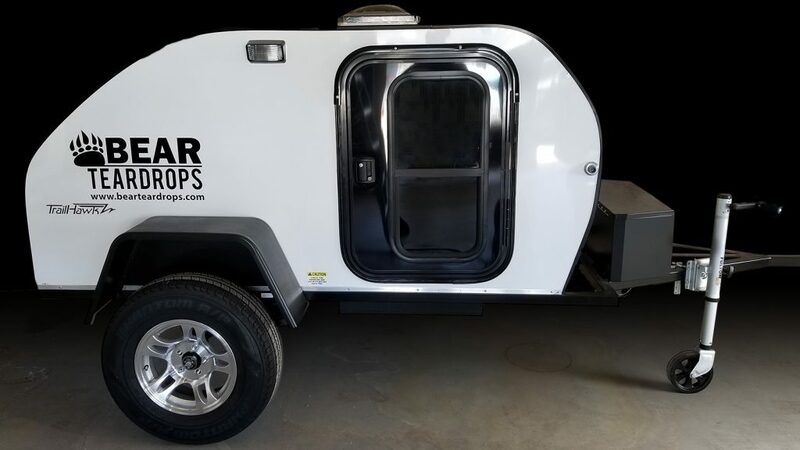 Could Bear Teardrop Trailers be the only trailer you ever need? The trailers are designed to be extremely comfortable without going overboard on unnecessary features and it comes with all of your van life essentials needed to live comfortably in it for several days. This keeps them light, simple and easily adaptable to living off the grid in different environments. The company has two flagship models. The Trail Hawk from Bear Teardrop Trailers easily fits two full sized adults or one adult and a small pack of dogs. The beauty of this trailer is the design simplicity. It’s built on a powder coated steel frame with Timbren Axle-Less suspension so it’s extremely durable and made to work well under stress. It has plenty of storage and a battery storage compartment so you can power electronics in remote places. The teardrop is so light you won’t even notice it’s there when towing. It could easily pull behind a small day vehicle if need be but it’s more suited for an off-road camper or something like a Ford Transit Camper. The major limiting factor for most teardrops is their off-road capabilities. Both Bear Teardrop Trailers come with great clearance, all-terrain tires and platform made to handle highways and trails equally well. The Apache is the largest model from Bear Teadrop Trailers and is without doubt one of our favourite trailers around and combined with our best camper vans you’re looking at a serious off-road adventure rig! It has a roof-top tent option, leaving room for 4-5 adults and it’s perfect for small groups or families. I would not hesitate to travel in this thing for a month or longer. I’m planning a campervan trip down the Pan American Highway and after seeing this light, capable trailer, it’s tempting to change the mode of transportation. It can haul a ton of gear with the built-in storage and roof rack. It plugs into shore power with a 7 blade RV connector and it comes setup with a propane tank. The interior has shelving storage and an electrical panel. Add an awning, load gear in the cargo area and strap jacks up top for the ideal off grid living camping rig. I love the ability to set-up camp and separate the vehicle for daily adventures. It’s extremely convenient and hassle free. 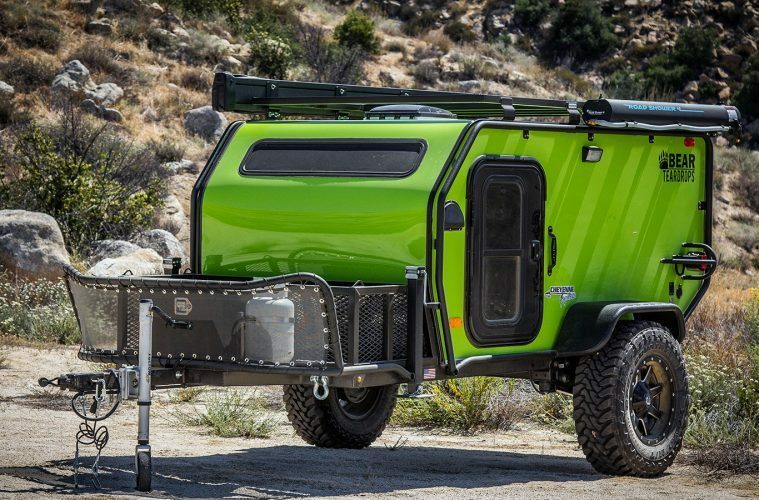 What’s inside this off road camper trailer? 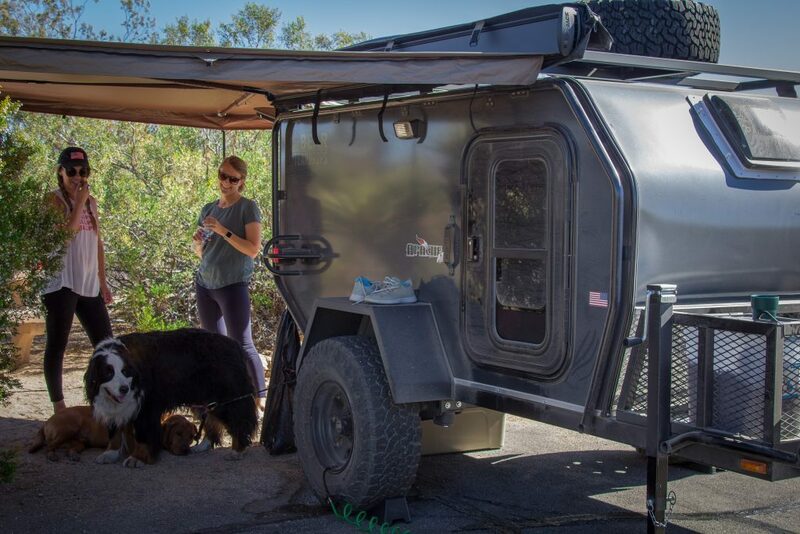 All of the Bear Teardrop Trailers are ventilated with a fan. They have a porch light and are setup to accept numerous upgrades. Sun showers, heaters, rear hitches and awnings are all easy additions. The nice thing about the trailers is that they are ready to camp immediately. They come with a 4-inch memory foam mattress and you can hook-up and hit the road. Test things out on a trip then add upgrades as you determine which features you want. I’ve seen some white knuckle teardrop owners towing up dirt roads on Montana fly fishing trips. 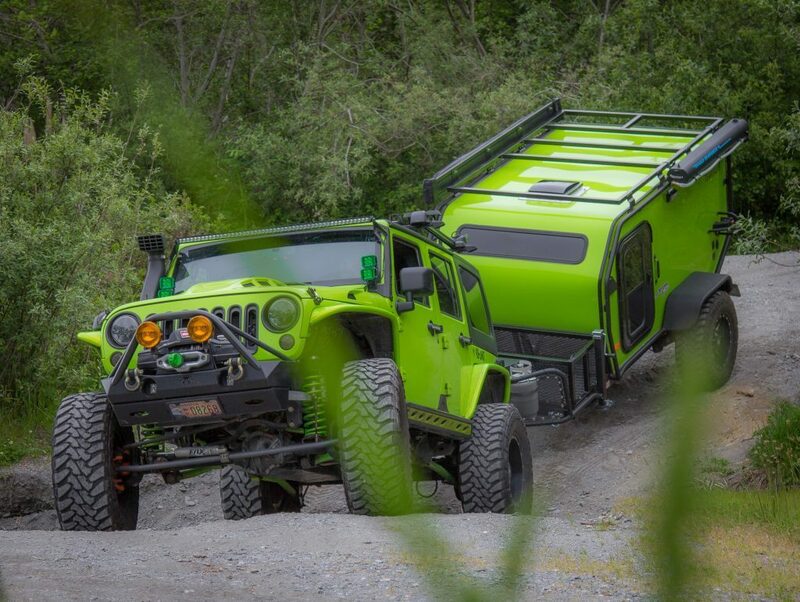 Having an off-road capable rig would be a huge stress reducer and it opens up a ton of ground that you simply wouldn’t attempt with many other trailers. Something different for you trailer lovers – Best pop up campers. Ever seen an expandable trailer? Now you have. Money is not an option? Then this airstream trailer is a must buy.